The Hemiscyllium sharks are some of the best-suited species for the home aquarium. They’re small (for a shark) at under one meter; they’re relatively peaceful (though probably not entirely trustworthy around smaller creatures); they don’t need much swimming space either, since they generally get around by clambering along the bottom. And now one of the rarest members from this genus just walked its way over to Elliot Lim of Marine Collectors. 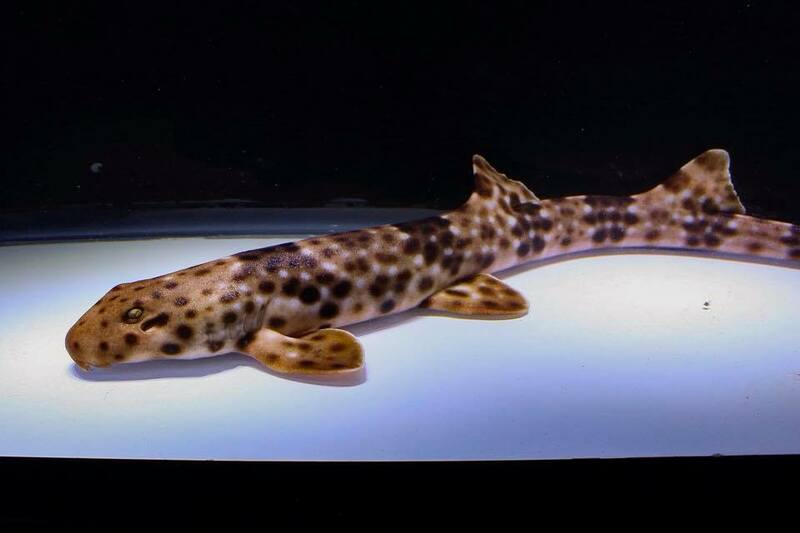 The Halmahera Epaulette Shark (AKA the Halmahera Walking Shark… AKA Hemiscyllium halmahera) is a recently discovered species that made headlines a few years back when it was first described. Just about everynewsoutlet at the time felt the need to ooh and aah over this weird “walking shark”, seemingly oblivious to the existence of the eight others in this group. 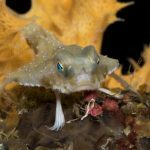 The differences which serve to separate this species from its closest relatives are in fact very minor, which isn’t to say that this shark wasn’t deserving of all the press. 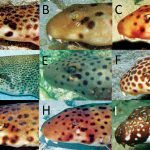 But one can’t help but wonder why the same attention wasn’t afforded to other recent discoveries, like the Milne Bay Epaulette Shark (H. michaeli… named after the inimitable fish nerd Scott Michael) in 2010 or the pair of taxa named in 2008. No matter. The species in this genus are identified by a combination of color patterning and geographic range. Thanks to their poor swimming ability and the lack of a pelagic juvenile stage, these sharks pretty much stay put, which has created some interesting patterns of biogeographic speciation in the West Pacific. H. halmahera sits at the northwestern extent of this group’s distribution, at Halmahera, where there has historically been relatively little in the way of dive tourism or aquarium collection. 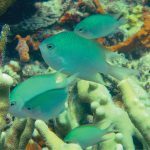 The species is most similar to a couple others from nearby portions of West Papua. Around Cenderawasih Bay, we find H. galei, while the reefs around the Birdshead Peninsula are home to H. freycineti. Together, these three Indonesian species are unique within the genus for having a poorly defined spot behind the pectoral fins (compared to the large, black ocellus in others). The Halmahera variety stands out for a pair of dark spots below the head (not visible here), along with a sparse scattering of small dots on the head (much denser in H. freycineti) and for lacking the horizontal row of large spots along the lower portions of the body seen in H. galei. 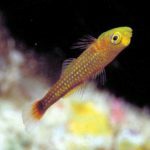 This doesn’t seem to be the first instance of H. halmahera in an aquarium, but the species is genuinely very uncommon (and, naturally, a bit on the expensive side). 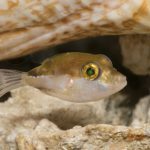 The video above shows it in a German Aquarium, LA’s Quality Marine has offered it on occasion, and the rare fish connoisseurs at Chicago’s ReefWise somehow got their greedy hands on a pair. Given the ease with which these little sharks can be bred, it’s a shame there isn’t more effort at producing captively bred specimens, but I suppose the market for these is a bit limited. Despite all their media coverage, these weird “walking sharks” are really just a niche item among the aquarium crowd.